A Winfield boy grabbed a baseball bat on Tuesday but couldn't stop a coyote from running off with the family's small Yorkshire Terrier while she was out on a bathroom break. The 3.5 pound dog's body was found behind the home along the Illinois Prairie Path. "She was a real tiny little dog but she loved everybody and everybody always wanted to take her home. They all loved her. 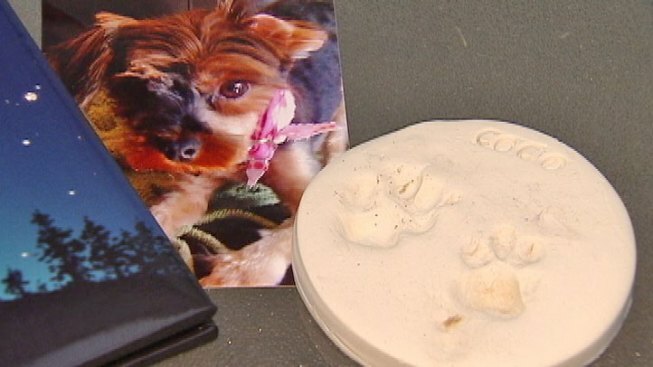 She was a great little dog," said the 11-year-old boy's father, Tim Bassett. Just last week, a 16-pound dog was attacked in a fenced in yard in Wheaton but survived. An attack a week before that, also in Wheaton, was fatal. In all three cases, the dogs were outside without a human. "If they're willing to come into your yard and take away something like that, what's to say that little 2-year-old kid that might be out playing -- they wouldn't do the same thing to that," said Bassett. Research suggests the coyote population in suburban Chicago is growing. An Ohio State University study found that coyotes can easily adapt in urban areas and find access to both food and water.